A new report has found that mobile broadband penetration across the OECD (Organisation for Economic Co-operation and Development) has hit 99.3 percent, equating to one high-speed mobile broadband subscription for every person in each country. 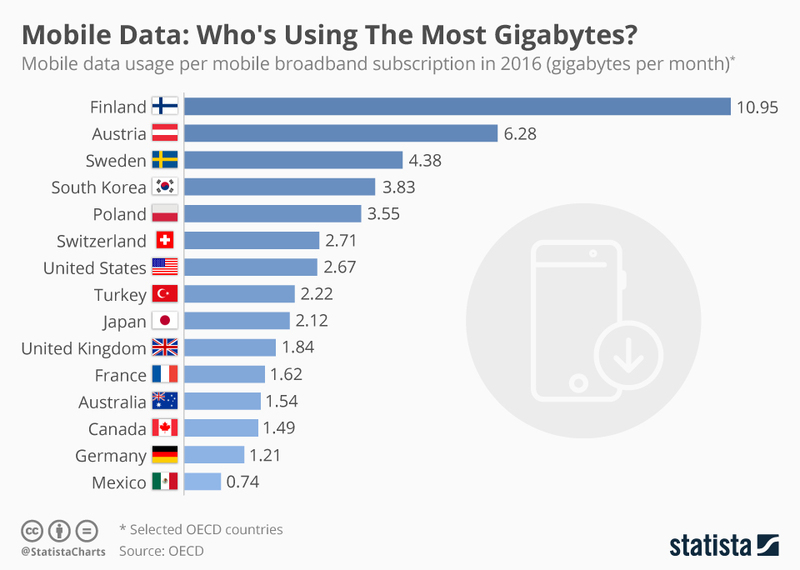 The following infographic shows mobile data usage per mobile broadband subscription in selected OECD countries in 2016, with Finland ahead by a long distance. Last year, an average Finnish smartphone user consumed just under 11GB of data every month, considerably more than in most other countries. This is mainly due to Finnish users having the option of selecting their desired speed for all services without facing a usage cap. According to the OECD, Elisa offers tiered speeds for 4G at 50 Mbps, 100 Mbps and 300Mbps including unlimited data usage. 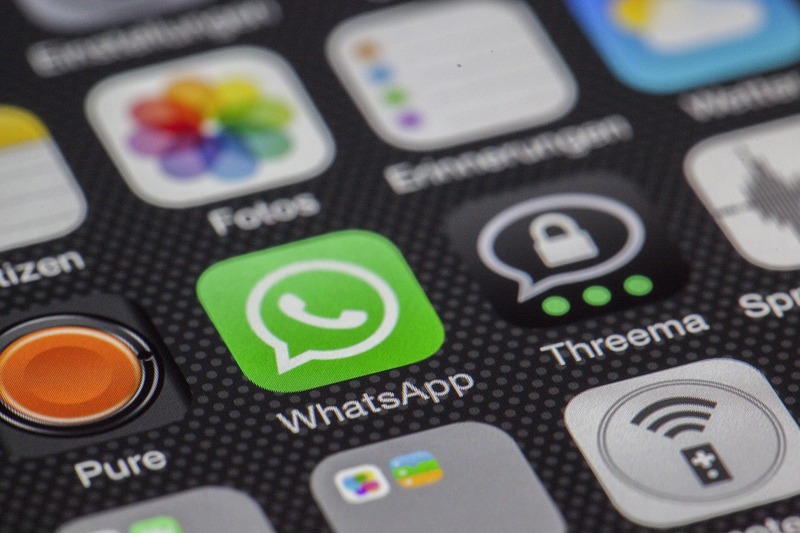 By comparison, U.S. smartphone owners used far less data per month last year on average, a mere 2.67GB. Even though some operators such as Sprint and T-Mobile do offer unlimited data plans, others are still stuck back in the 3G-era.